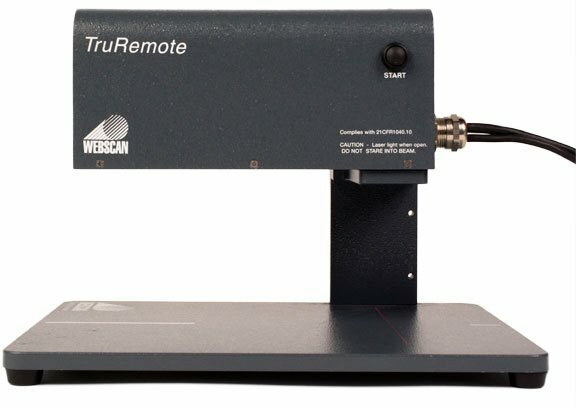 Webscan Laser USB Fixed Mount 10mil - This fixed mount 10mil laser offers the same benefits as the 10mil handheld laser except fixed mount lasers offer a 4" laser sweep distance. Where as the handheld lasers have a 2.25" vertical laser sweep. Must purchase (Part# 4899) or (Part# 5136) calibration card with this verifier. 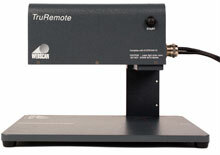 The TruCheck Laser USB's unique scanning head features a moving laser that automatically scans from top-to-bottom on a barcode. The system takes the 10 individual scans to instantly generate the overall ISO grade of the barcode. The moving laser removes all the influence of a human operator as the scan angle and distance are fixed to ensure accurate, repeatable results. The scanning head is contained in a compact, sturdy housing and attaches to your PC via a USB cable for incredible flexibility. 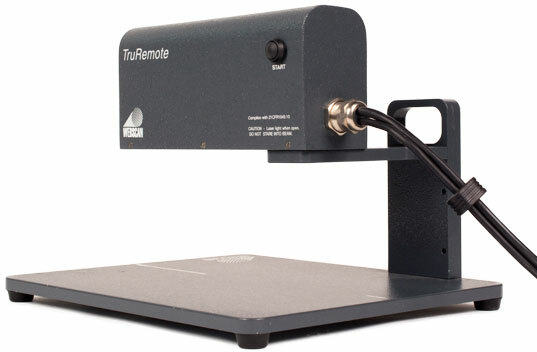 The TruCheck Laser USB can easily be taken into a warehouse, or any manufacturing location. A guide plate makes it fast and easy to position over a barcode. 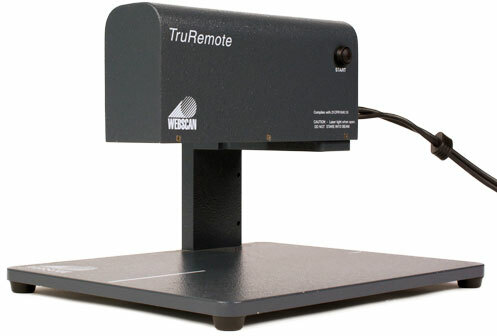 Media Size: 2.50" x 4"
The Webscan TC-857 is also known as TC-857	or TC857	.